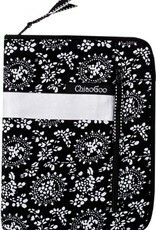 ChiaoGoo ChiaoGoo IC Needle Case - Woolly&Co. 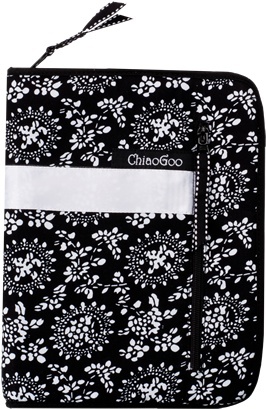 Adorable, compact, book-style, cotton fabric case is completely enclosed with a zipper on three sides. Inside, are two, double-rows of labeled pockets (29 total!). There is one zippered, outside pocket to hold accessories. Closed case dimensions are 8″ (20cm) x 6″ (15 cm).